I remember wearing these when I was about 17. I didn't think I would want to wear them again but the more I see them the more I'm going to be a sheep about them. 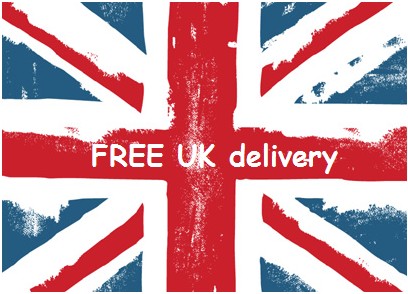 ASOS - £40 (comes in tan as well). Oh and check out this tartan scarf which I love. Inspired by this amazing ensemble via Pinterest. I'll do a style steal on this look very soon - I think she looks amazing. 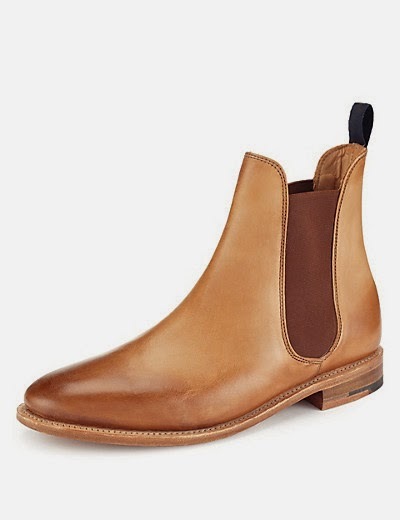 Are Chelsea Boots for you? I'm thinking they are for me now (discounted this trend earlier on the year so now I am eating my words)! Oh yes Fiona, I'm scouring the high street for a pair. I went through a few pairs of these in my younger years and though I do like them - they are a bit of a killer on my legs in terms of how they look. Admittedly, the M&S ones are the ones I like because the shaping on them is the most refined and I know to be the most leg lengthening on me as they have a slightly elongated toe. But I might pass on the boots for now ... unless a pair comes out and clobbers me on the head and says "buy me now". I adore the M&D ones but the price hurts my eyes (and wallet). 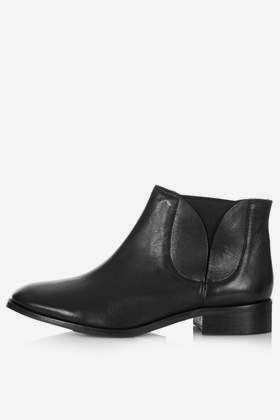 I've brought a similar style boot last year although they've got a block heel & pointed toe with I prefer for teaming with skinny jeans. You can't beat a pair of boots you can just pull on for winter! I adore ankle boots of any variety. Your sound nice, I look forward to seeing them on you soon! 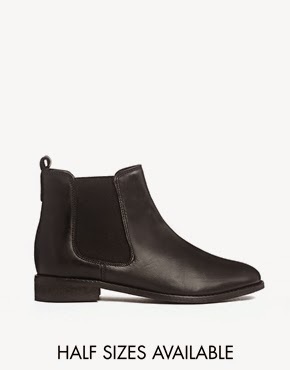 I'm hankering after a pair of Chelsea boots for this autumn/winter......but I also need a pair of brown biker boots too!! I bought the most amazing pair of brown biker boots from Tesco of all places last summer - I ADORE them. Good luck on making the decision on which one to buy first! LOVE that VB is embracing her flats! 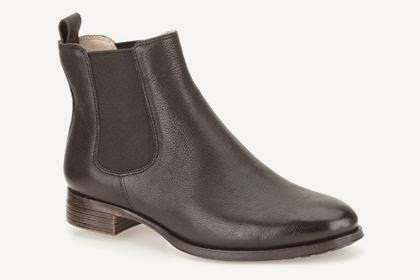 The M&S tan ones are DIVINE - yes expensive but they have a beautiful shape - Chelsea boots need to be slim otherwise you can look like you're wearing flippers! I am yet to try a pair on - they might not even suit me. I agree that M&S ones are superb and it's the colour AND the style that makes them so. I still can't get my head around a pair of boots from M&S costing £185! You'll have to let me know from where. I'm not sure! I love them on others .. but I'm not sure on me! I wear knee high flat boots but for some reason I don't feel small in those (don't ask, just agree with me!!!) But I think they'd look amazing on you, you long legged, leggy creature!! I like the Clarks ones....can't believe how expensive M&S are for some things!! I'm really looking forward to boot weather! That should say thick not think ..... Silly phone. I have a pair that I bought for my son that turned out to be too small, I am wondering if I would look like a man if I wear size 9s with thick socks! 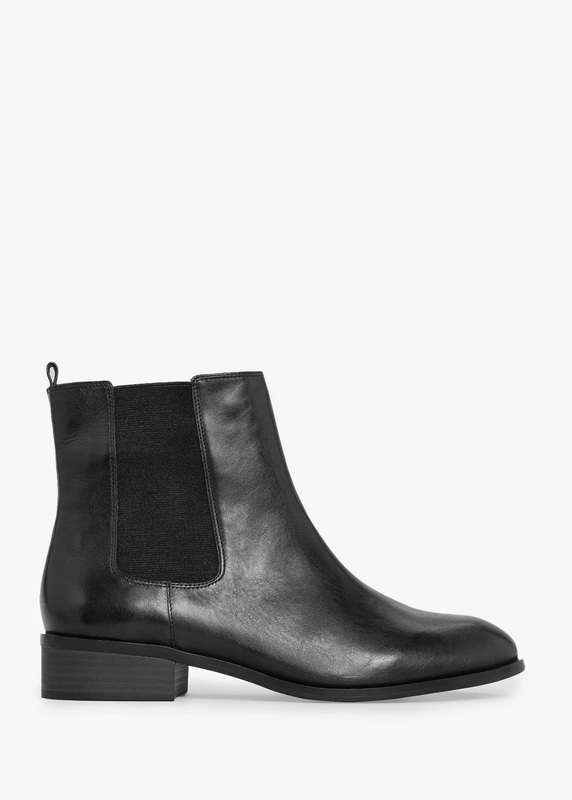 I love chelsea boots, I like a more pointed toe or rather almond than really round though. I just think they are a fab fall boot, easy to walk in and look cool.